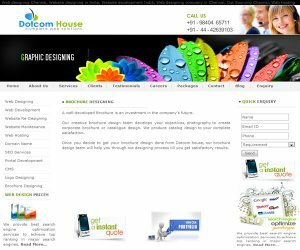 We specialize in Website Design & Redesigning, web hosting, Open Source Customization and Brochure Designing, E Commerce, Content Management System, Domain Name Registration, Graphic and Logo Designing. We build Static and Dymaic Web sites which will enhance your business. Dotcom House dedicated to provide Web based solutions to small and large sized businesses.